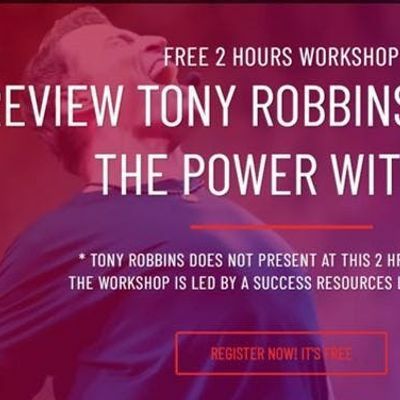 Grand Slam tennis champ Serena Williams, President Bill Clinton, Oprah Winfrey, Wang Lee Hom and countless leaders from every walk of life have all turned to Tony Robbins to take their lives to the next level. 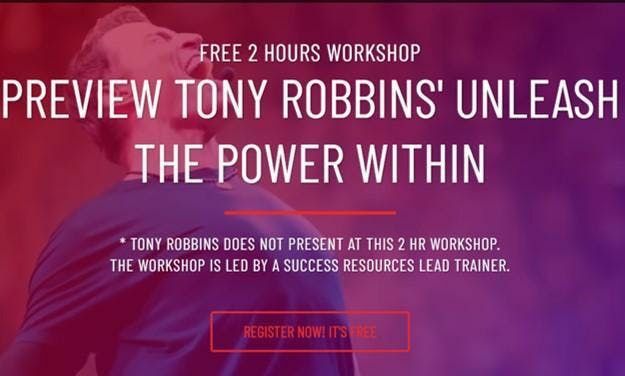 This FREE workshop led by Success Resources' Lead Trainer introduces you to Tony Robbin’s latest up-to-the-minute strategies to meet today’s challenges and transform your life. A recognized authority on the psychology of leadership, negotiations and organizational turnaround, Tony Robbins has served as an advisor to leaders around the world for more than 38 years.